This is a preface to the fourth in the ebook series of Leaders in Pharmaceutical Intelligence, a collaboration of experienced doctorate medical and pharmaceutical professionals. The topic is of great current interest, and it entails a significant part of current medical expenditure by a group of neoplastic diseases that may develop at different periods in life, and have come to supercede infections or even eventuate in infectious disease as an end of life event. The articles presented are a collection of the most up-to-date accounts of the state of a now rapidly emerging field of medical research that has benefitted enormously by progress in immunodiagnostics, radiodiagnostics, imaging, predictive analytics, genomic and proteomic discovery subsequent to the completion of the Human Genome Project, advances in analytic methods in qPCR, gene sequencing, genome mapping, signaling pathways, exome identification, identification of therapeutic targets in inhibitors, activators, initiators in the progression of cell metabolism, carcinogenesis, cell movement, and metastatic potential. This story is very complicated because we are engaged in trying to evoke from what we would like to be similar clinical events, dissimilar events in their expression and classification, whether they are within the same or different anatomic class. Thus, we are faced with constructing an objective evidence-based understanding requiring integration of several disciplinary approaches to see a clear picture. The failure to do so creates a high risk of failure in biopharmaceutical development. The chapters that follow cover novel and important research and development in cancer related research, development, diagnostics and treatment, and in balance, present a substantial part of the tumor landscape, with some exceptions. Will there ever be a unifying concept, as might be hoped for? I certainly can’t see any such prediction on the horizon. Part of the problem is that disease classification is a human construct to guide us, and so are treatments that have existed and are reexamined for over 2,000 years. In that time, we have changed, our afflictions have been modified, and our environment has changed with respect to the microorganisms within and around us, viruses, the soil, and radiation exposure, and the impacts of war and starvation, and access to food. The outline has been given. Organic and inorganic chemistry combined with physics has given us a new enterprise in biosynthetics that is and will change our world. But let us keep in mind that this is a human construct, just as drug target development is such a construct, workable with limitations. We need greater clarity and completeness in defining the carcinogenetic process. It is the beginning, but not the end. But we must first examine the evolution of the scientific structure that leads to our present understanding. This was preceded by the studies of anatomy, physiology, and embryology that had to occur as a first step, which was followed by the researches into bacteriology, fungi, sea urchins and the evolutionary creatures that could be studied having more primary development in scale. They are still major objects of study, with the expectation that we can derive lessons about comparative mechanisms that have been passed on through the ages and have common features with man. This became the serious intent of molecular biology, the discipline that turned to find an explanation for genetics, and to carry out controlled experiments modelled on the discipline that already had enormous success in physics, mathematics, and chemistry. In 1900, when Max Planck hypothesized that the frequency of light emitted by the black body depended on the frequency of the oscillator that emitted it, it had important ramifications for chemistry and biology (See Appendix II and Footnote 1, Planck equation, energy and oscillation). The leading idea is to search below the large-scale observations of classical biology. The central dogma of molecular biology where genetic material is transcribed into RNA and then translated into protein, provides a starting point, but the construct is undergoing revision in light of emerging novel roles for RNA and signaling pathways. The term, coined by Warren Weaver (director of Natural Sciences for the Rockefeller Foundation), who observed an emergence of significant change given recent advances in fields such as X-ray crystallography. Molecular biology also plays important role in understanding formations, actions, regulations of various parts of cellswhich can be used efficiently for targeting new drugs, diagnosis of disease, physiology of the Cell. The Nobel Prize in Physiology or Medicine in 1969 was shared by Max Delbrück, Alfred D. Hershey, Salvador E. Luria, whose work with viral replication gave impetus to the field. Delbruck was a physicist who trained in Copenhagen under Bohr, and specifically committed himself to a rigor in biology, as was in physics. We then stepped back from classical (descriptive) physiology, with the endless complexity, to molecular biology. This led us to the genetic code, with a double helix model. It has recently been found insufficiently explanatory, with the recent construction of triplex and quadruplex models. They have a potential to account for unaccounted for building blocks, such as inosine, and we don’t know whether more than one model holds validity under different conditions . The other major field of development has been simply unaccounted for in the study of proteomics, especially in protein-protein interactions, and in the energetics of protein conformation, first called to our attention by the work of Jacob, Monod, and Changeux (See Footnote 2). Proteins are not just rigid structures stamped out by the monotonously simple DNA to RNA to protein concept. Nothing is ever quite so simple. Just as there are epigenetic events, there are posttranslational events, and yet more. “Warburg Effect” describes the preference of glycolysis and lactic acid fermentation rather than oxidative phosphorylation for energy production in cancer cells. Mitochondrial metabolism is an important and necessary component in the functioning and maintenance of the cell, and accumulating evidence suggests that dysfunction of mitochondrial metabolism plays a role in cancer. Progress has demonstrated the mechanisms of the mitochondrial metabolism-to-glycolysis switch in cancer development and how to target this metabolic switch. The expression “Pasteur effect” was coined by Warburg when inspired by Pasteur’s findings in yeast cells, when he investigated this metabolic observation (Pasteur effect) in cancer cells. In yeast cells, Pasteur had found that the velocity of sugar used was greatly reduced in presence of oxygen. Not to be confused, in the “Crabtree effect”, the velocity of sugar metabolism was greatly increased, a reversal, when yeast cells were transferred from the aerobic to an anaerobic condition. Thus, the velocity of sugar metabolism of yeast cells was shown to be under metabolic regulatory control in response to change in environmental oxygen conditions in growth. Warburg had to verify whether cancer cells and tissue related normal mammalian cells also have a similar control mechanism. He found that this control was also found in normal cells studied, but was absent in cancer cells. Strikingly, cancer cells continue to have higher anaerobic gycolysis despite the presence of oxygen in their culture media (See Footnote 3). Taking this a step further, food is digested and supplied to cells In vertebrates mainly in the form of glucose, which is metabolized producing Adenosine Triphosphate (ATP) by two pathways. Glycolysis, occurs via anaerobic metabolism in the cytoplasm, and is of major significance for making ATP quickly, but in a minuscule amount (2 molecules). In the presence of oxygen, the breakdown process continues in the mitochondria via the Krebs’s cycle coupled with oxidative phosphorylation, which is more efficient for ATP production (36 molecules). Cancer cells seem to depend on glycolysis. In the 1920s, Otto Warburg first proposed that cancer cells show increased levels of glucose consumption and lactate fermentation even in the presence of ample oxygen (known as “Warburg Effect”). Based on this theory, oxidative phosphorylation switches to glycolysis which promotes the proliferation of cancer cells. Many studies have demonstrated glycolysis as the main metabolic pathway in cancer cells. Albert Szent Gyogy (Warburg’s student) and Otto Meyerhof both studied striated skeletal muscle metabolism invertebrates, and they found those changes observed in yeast by Pasteur. The description of the anaerobic pathway was largely credited to Emden and Meyerhof. Whenever there is increase in muscle work, energy need is above what can be provided by blood supply, the cell metabolism changes from aerobic (where Acetyl CoA provides the chemical energy for aerobic production of ATP) to anaerobic metabolism of glucose. In this condition, glucose is obtained directly from its muscle glycogen stores (not from hepatic glycogenolysis). This is the sole source of chemical energy that is independent of oxygen supplied to the cell. It is a physiological change on muscle metabolism that favors autonomy. It does not depend upon the blood oxygen for aerobic metabolim or blood sources of carbon metabolites borne out from adipose tissue (free fatty acids) or muscle proteins (branched chain amino acids), or vascular delivery of glucose. On that condition, the muscle can perform contraction by its internal source of ATP and uses conversion of pyruvate to lactate in order to regenerate much-needed NAD (by hydride transfer from pyruvate) as a replacement for this mitochondrial function. This regulatory change, keeps glycolysis going at fast rate in order to meet ATP needs of the cell under low yield condition (only two or three ATP for each glucose converted into two lactate molecules). Therefore, it cannot last for long periods of time. This regulatory metabolic change is made in seconds, minutes and therefore happens with the proteins that are already presented in the cell. It does not requires the effect of transcription factors and/or changes in gene expression (See Footnote 1, 2). 1- It is a fast regulatory response. Therefore, no genetic mechanism can be taken into account. A- The gene and genes reside inside the heart muscle cells but, in order to preserve intact, the source of coded genetic information that the cell reads and transcribes, DNA must be kept to a minimal of chemical reactivity. B- In case sequence determines conformation, activity and function , elevated potassium blood levels could not cause cardiac arrest. In comparison with those conditions here presented, cancer cells keep the two metabolic options for glucose metabolism at the same time. These cells can use glucose that our body provides to them or adopt temporarily, an independent metabolic form without the usual normal requirement of oxygen (one or another form for ATP generation). ATP generation is here, an over-simplification of the metabolic status since the carbon flow for building blocks must also be considered and in this case oxidative metabolism of glucose in cancer cells may be viewed as a rich source of organic molecules or building blocks that dividing cells always need. JES Roselino has conjectured that “most of the Krebs cycle reaction works as ideal reversible thermodynamic systems that can supply any organic molecule that by its absence could prevent cell duplication.” In the vision of Warburg, cancer cells have a defect in Pasteur-effect metabolic control. In case it was functioning normally, it will indicate which metabolic form of glucose metabolism is adequate for each condition. What more? Cancer cells lack differentiated cell function. Any role for transcription factors must be considered as the role of factors that led to the stable phenotypic change of cancer cells. The failure of Pasteur effect must be searched for among the fast regulatory mechanisms that aren’t dependent on gene expression (See Footnote 3). Extending the thoughts of JES Roselino (Hepatology 1992;16: 1055-1060), reduced blood flow caused by increased hydrostatic pressure in extrahepatic cholestasis decreases mitochondrial function (quoted in Hepatology) and as part of Pasteur effect normal response, increased glycolysis in partial and/or functional anaerobiosis and therefore blocks the gluconeogenic activity of hepatocytes that requires inhibited glycolysis. In this case, a clear energetic link can be perceived between the reduced energetic supply and the ability to perform differentiated hepatic function (gluconeogenesis). In cancer cells, the action of transcription factors that can be viewed as different ensembles of kaleidoscopic pieces (with changing activities as cell conditions change) are clearly linked to the new stable phenotype. In relation to extrahepatic cholestasis mentioned above it must be reckoned that in case a persistent chronic condition is studied a secondary cirrhosis is installed as an example of persistent stable condition, difficult to be reversed and without the requirement for a genetic mutation. (See Footnote 4). Most of our reasoning about genes was derived from scientific work in microorganisms. These works have provided great advances in biochemistry. 1- The “Gelehrter idea”: No matter what you are doing you will always be better off, in case you have a gene (In chapter 7 Principles of Medical Genetics Gelehrter and Collins Williams & Wilkins 1990). 2- The idea that everything could be found following one gene one enzyme relationship that works fine for our understanding of the metabolism, in all biological problems. 3- The idea that everything that explains biochemistry in microorganisms explains also for every living being (J Nirenberg). 4- The idea that biochemistry may not require that time should be also taken into account. Time must be considered only for genetic and biological evolution studies (S Luria. In Life- The unfinished experiment 1977 C Scribner´s sons NY). 5- Finally, the idea that everything in biology, could be found in the genome. Since all information in biology goes from DNA through RNA to proteins. Alternatively, are in the DNA, in case the strict line that includes RNA is not included. This last point can be accepted in case it is considered that ALL GENETIC information is in our DNA. Genetics as part of life and not as its total expression. For example, when our body is informed that the ambient temperature is too low or alternatively is too high, our body is receiving an information that arrives from our environment. This external information will affect our proteins and eventually, in case of longer periods in a new condition will cause adaptive response that may include conformational changes in transcription factors (proteins) that will also, produce new readings on the DNA. However, it is an information that moves from outside, to proteins and not from DNA to proteins. The last pathway, when transcription factors change its conformation and change DNA reading will follow the dogmatic view as an adaptive response (See Footnotes 1-3). However, in case, time is taken into account, the first reactions against cold or warmer temperatures will be the ones that happen through change in protein conformation, activities and function before any change in gene expression can be noticed at protein level. These fast changes, in seconds, minutes cannot be explained by changes in gene expression and are strongly linked to what is needed for the maintenance of life. It was important that genomics would play such a large role in medical research for the last 70 years. 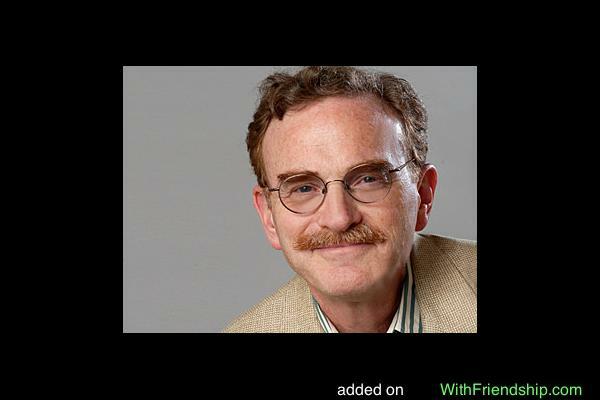 There is also good reason to rethink the objections of the Nobelists James Watson and Randy Schekman in the past year, whatever discomfort it brings. Molecular biology has become a tautology, and as a result deranged scientific rigor inside biology. In case it can be shown in a rather convincing way, the same reasoning could be applied to understand how simple replicative signals inducing Go to G1 transition in cells, could easily overcome more complex signals required for cell differentiation and differentiated function. Perhaps the problem of overextension of the equivalence of the DNA and what happens to the organism is also related to the initial reliance on a single cell model to relieve the complexity (which isn’t fully the case). Only a very small sample indicating otherwise. Proteins were held as interacting macromolecules, changing their conformation in regulatory response to changes in the microenvironment (See Footnote 2). DNA was the opposite, non-interacting macromolecules to be as stable as a library must be. The dogma held that the property of proteins could be read in DNA alone. Consequenly, the few examples quoted above, must be ignored and all people must believe that DNA alone, without environmental factors roles, controls protein amino acid sequence (OK), conformation (not true), activity (not true) and function (not true). It appeared naively to be correct from the dogma to conclude from interpreting your genome: You have a 50% increased risk of developing the following disease (deterministic statement). The correct form must be: You belong to a population that has a 50% increase in the risk of….followed by – what you must do to avoid increase in your personal risk and the care you should take in case you want to have longer healthy life. Thus, genetics and non-genetic diseases were treated as the same and medical foundations were reinforced by magical considerations (dogmas) in a very profitable way for those involved besides the patient. There is a link of electricity with ions in biology and the oscillatory behavior of some electrical discharges. In addition, the oscillatory form of electrical discharged may have allowed Planck to relate high energy content with higher frequencies and conversely, low energy content in low frequency oscillatory events. One may think of high density as an indication of great amount of matter inside a volume in space. This helps the understanding of Planck’s idea as a high-density-energy in time for a high frequency phenomenon. Take into account a protein that may have its conformation restricted by an S-S bridge. This protein also, may move to another more flexible conformation in case it is in HS HS condition when the S-S bridge is broken. Consider also that, it takes some time for a protein to move from one conformation for instance, the restricted conformation (S-S) to other conformations. Also, it takes a few seconds or minutes to return to the S-S conformation (This is the Daniel Koshland´s concept of induced fit and relaxation time used by him in order to explain allosteric behavior of monomeric proteins- Monod, Wyman and Changeux requires tetramer or at least, dimer proteins). In case you have glycolysis oscillating in a frequency much higher than the relaxation time you could lead to the prevalence of high NADH effect leading to high HS /HS condition and at low glycolytic frequency, you could have predominance of S-S condition affecting protein conformation. In case you have predominance of NAD effect upon protein S-S you would get the opposite results. The enormous effort to display the effect of citrate and over Phosphofructokinase conformation was made by others. Take into account that ATP action as an inhibitor in this case, is a rather unusual one. It is a substrate of the reaction, and together with its action as activator F1,6 P (or its equivalent F2,6 P) is also unusual. However, it explains oscillatory behaviour of glycolysis. (Goldhammer , A.R, and Paradies: PFK structure and function, Curr. Top Cell Reg 1979; 15:109-141). The results presented in our Hepatology work must be viewed in the following way: In case the hepatic (oxygenated) blood flow is preserved, the bile secretory cells of liver receive well-oxygenated blood flow (the arterial branches bath secretory cells while the branches originated from portal vein irrigate the hepatocytes. During extra hepatic cholestasis the low pressure, portal blood flow is reduced and the hepatocytes do not receive enough oxygen required to produce ATP that gluconeogenesis demands. Hepatic artery do not replace this flow since, its branches only join portal blood fluxes after the previous artery pressure is reduced to a low pressure venous blood – at the point where the formation of hepatic vein is. Otherwise, the flow in the portal vein would be reversed or, from liver to the intestine. It is of no help to take into account possible valves for this reasoning since minimal arterial pressure is well above maximal venous pressure and this difference would keep this valve in permanent close condition. In low portal blood flow condition, the hepatocyte increases pyruvate kinase activity and with increased pyruvate kinase activity Gluconeogenesis is forbidden (See Walsh & Cooper revision quoted in the Hepatology as ref 23). For the hemodynamic considerations, role of artery and veins in hepatic portal system see references 44 and 45 Rappaport and Schneiderman and Rappapaport. Ben Schuler’s research group from the Institute of Biochemistry of the University of Zurich has now established that an increase in temperature leads to folded proteins collapsing and becoming smaller. Other environmental factors can trigger the same effect. The crowded environments inside cells lead to the proteins shrinking. As these proteins interact with other molecules in the body and bring other proteins together, understanding of these processes is essential “as they play a major role in many processes in our body, for instance in the onset of cancer”, comments study coordinator Ben Schuler. With computer simulations the researchers have mimicked the behaviour of disordered proteins. They want to use them in future for more accurate predictions of their properties and functions. That’s why it’s important, according to Schuler, to monitor the proteins not only in the test tube but also in the organism. “This takes into account the fact that it is very crowded on the molecular level in our body as enormous numbers of biomolecules are crammed into a very small space in our cells”, says Schuler. The biochemists have mimicked this “molecular crowding” and observed that in this environment disordered proteins shrink, too. Given these results many experiments may have to be revisited as the spatial organisation of the molecules in the organism could differ considerably from that in the test tube according to the biochemist from the University of Zurich. “We have, therefore, developed a theoretical analytical method to predict the effects of molecular crowding.” In a next step the researchers plan to apply these findings to measurements taken directly in living cells. 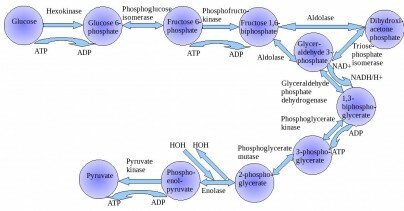 Glucose-6-phosphate dehydrogenase (G6PDH) gates ﬂux through the pentose phosphate pathway and is key to cellular antioxidant defense due to its role in producing NADPH. Good antioxidant defenses are crucial for anoxia-tolerant organisms that experience wide variations in oxygen availability. The marine mollusc, Littorina littorea, is an intertidal snail that experiences daily bouts of anoxia/hypoxia with the tide cycle and shows multiple metabolic and enzymatic adaptations that support anaerobiosis. This study investigated the kinetic, physical and regulatory properties of G6PDH from hepatopancreas of L. littorea to determine if the enzyme is diﬀerentially regulated in response to anoxia, thereby providing altered pentose phosphate pathway functionality under oxygen stress conditions. Several kinetic properties of G6PDH diﬀered signiﬁcantly between aerobic and 24 h anoxic conditions; compared with the aerobic state, anoxic G6PDH (assayed at pH 8) showed a 38% decrease in K G6P and enhanced inhibition by urea, whereas in pH 6 assays Km NADP and maximal activity changed signiﬁcantly. All these data indicated that the aerobic and anoxic forms of G6PDH were the high and low phosphate forms, respectively, and that phosphorylation state was modulated in response to selected endogenous protein kinases (PKA or PKG) and protein phosphatases (PP1 or PP2C). Anoxia-induced changes in the phosphorylation state of G6PDH may facilitate sustained or increased production of NADPH to enhance antioxidant defense during long term anaerobiosis and/or during the transition back to aerobic conditions when the reintroduction of oxygen causes a rapid increase in oxidative stress. In the cardiovascular system, the important signaling molecule nitric oxide synthase (NOS) converts L-arginine into L-citrulline and releases nitric oxide (NO). NO produced by endothelial NOS (eNOS) relaxes smooth muscle which controls vascular tone and blood pressure. Neuronal NOS (nNOS) produces NO in the brain, where it influences a variety of neural functions such as neural transmitter release. NO can also support the immune system, serving as a cytotoxic agent during infections. Even with all of these important functions, NO is a free radical and, when overproduced, it can cause tissue damage. This mechanism can operate in many neurodegenerative diseases, and as a result the development of drugs targeting nNOS is a desirable therapeutic goal. However, the active sites of all three human isoforms are very similar, and designing inhibitors specific for nNOS is a challenging problem. It is critically important, for example, not to inhibit eNOS owing to its central role in controlling blood pressure. In this Account, we summarize our efforts in collaboration with Rick Silverman at Northwestern University to develop drug candidates that specifically target NOS using crystallography, computational chemistry, and organic synthesis. As a result, we have developed aminopyridine compounds that are 3800-fold more selective for nNOS than eNOS, some of which show excellent neuroprotective effects in animal models. Our group has solved approximately 130 NOS-inhibitor crystal structures which have provided the structural basis for our design efforts. Initial crystal structures of nNOS and eNOS bound to selective dipeptide inhibitors showed that a single amino acid difference (Asp in nNOS and Asn in eNOS) results in much tighter binding to nNOS. The NOS active site is open and rigid, which produces few large structural changes when inhibitors bind. However, we have found that relatively small changes in the active site and inhibitor chirality can account for large differences in isoform-selectivity. For example, we expected that the aminopyridine group on our inhibitors would form a hydrogen bond with a conserved Glu inside the NOS active site. Instead, in one group of inhibitors, the aminopyridine group extends outside of the active site where it interacts with a heme propionate. For this orientation to occur, a conserved Tyr side chain must swing out of the way. This unanticipated observation taught us about the importance of inhibitor chirality and active site dynamics. We also successfully used computational methods to gain insights into the contribution of the state of protonation of the inhibitors to their selectivity. Employing the lessons learned from the aminopyridine inhibitors, the Silverman lab designed and synthesized symmetric double-headed inhibitors with an aminopyridine at each end, taking advantage of their ability to make contacts both inside and outside of the active site. Crystal structures provided yet another unexpected surprise. Two of the double-headed inhibitor molecules bound to each enzyme subunit, and one molecule participated in the generation of a novel Zn site that required some side chains to adopt alternate conformations. Therefore, in addition to achieving our specific goal, the development of nNOS selective compounds, we have learned how subtle differences in and structure can control proteinligand interactions and often in unexpected ways. active site of eNOS (PDB_1P6L) and nNOS (PDB_1P6H). Figure: (A) Structure of one of the early dipeptide lead compounds, 1, that exhibits excellentisoform selectivity. (B, C) show the crystal structures of the dipeptide inhibitor 1 in the active site of eNOS (PDB: 1P6L) and nNOS (PDB: 1P6H). In nNOS, the inhibitor “curls” which enables the inhibitor R-amino group to interact with both Glu592 and Asp597. In eNOS, Asn368 is the homologue to nNOS Asp597. Accounts in Chem Res 2013; 46(2): 390-98. Interfering with a single cancer-promoting protein and its receptor can open this resistance mechanism by initiating autophagy of the affected cells, according to researchers at The University of Texas MD Anderson Cancer Center in the journal Cell Reports. According to Dr. Anil Sood and Yunfei Wen, lead and first authors, blocking prolactin, a potent growth factor for ovarian cancer, sets off downstream events that result in cell by autophagy, the process recycles damaged organelles and proteins for new use by the cell through the phagolysozome. This in turn, provides a clinical rationale for blocking prolactin and its receptor to initiate sustained autophagy as an alternative strategy for treating cancers. Prolactin (PRL) is a hormone previously implicated in ovarian, endometrial and other cancer development andprogression. When PRL binds to its cell membrane receptor, PRLR, activation of cancer-promoting cell signaling pathways follows. A variant of normal prolactin called G129R blocks the reaction between prolactin and its receptor. Sood and colleagues treated mice that had two different lines of human ovarian cancer, both expressing the prolactin receptor, with G129R. Tumor weights fell by 50 percent for mice with either type of ovarian cancer after 28 days of treatment with G129R, and adding the taxane-based chemotherapy agent paclitaxel cut tumor weight by 90 percent. They surmise that higher doses of G129R may result in even greater therapeutic benefit. Next the team used the prolactin-mimicking peptide to treat cultures of cancer spheroids which sharply reduced their numbers, and blocked the activation of JAK2 and STAT signaling pathways. Protein analysis of the treated spheroids showed increased presence of autophagy factors and genomic analysis revealed increased expression of a number of genes involved in autophagy progression and cell death. Then a series of experiments using fluorescence and electron microscopy showed that the cytosol of treated cells had large numbers of cavities caused by autophagy. The team also connected the G129R-induced autophagy to the activity of PEA-15, a known cancer inhibitor. Analysis of tumor samples from 32 ovarian cancer patients showed that tumors express higher levels of the prolactin receptor and lower levels of phosphorylated PEA-15 than normal ovarian tissue. However, patients with low levels of the prolactin receptor and higher PEA-15 had longer overall survival than those with high PRLR and low PEA-15. Korendovych and his team designed seven simple peptides, each containing seven amino acids. They then allowed the molecules of each peptide to self-assemble, or spontaneously clump together, to form amyloids. (Zinc, a metal with catalytic properties, was introduced to speed up the reaction.) What they found was that four of the seven peptides catalyzed the hydrolysis of molecules known as esters, compounds that react with water to produce water and acids—a feat not uncommon among certain enzymes. Here are three articles emphasizing the value of combinatorial analysis, which can be formed from genomic, clinical, and proteomic data sets. F Islam , M Hoque , RS Banik , S Roy , SS Sumi, et al. As most biological networks show modular properties, the analysis of differential modularity between normal and cancer protein interaction networks can be a good way to understand cancer more significantly. Two aspects of biological network modularity e.g. detection of molecular complexes (potential modules or clusters) and identification of crucial nodes forming the overlapping modules have been considered in this regard. The computational analysis of previously published protein interaction networks (PINs) has been conducted to identify the molecular complexes and crucial nodes of the networks. Protein molecules involved in ten major cancer signal transduction pathways were used to construct the networks based on expression data of five tissues e.g. bone, breast, colon, kidney and liver in both normal and cancer conditions. Cancer PINs show higher level of clustering (formation of molecular complexes) than the normal ones. In contrast, lower level modular overlapping is found in cancer PINs than the normal ones. Thus a proposition can be made regarding the formation of some giant nodes in the cancer networks with very high degree and resulting in reduced overlapping among the network modules though the predicted molecular complex numbers are higher in cancer conditions. Here we present an integrated microarray analysis framework, based on a genome-wide relative signiﬁcance (GWRS) and genome-wide global signiﬁcance (GWGS) model. When applied to ﬁve microarray datasets on melanoma published between 2000 and 2011, this method revealed a new signature of 200 genes. When these were linked to so-called ‘melanoma driver’ genes involved in MAPK, Ca2+, and WNT signaling pathways we were able to produce a new 12-gene diagnostic biomarker signature for melanoma (i.e., EGFR, FGFR2, FGFR3, IL8, PTPRF, TNC, CXCL13, COL11A1, CHP2, SHC4, PPP2R2C, andWNT4).We have begun to experimentally validate a subset of these genes involved inMAPK signaling at the protein level, including CXCL13, COL11A1, PTPRF and SHC4 and found these to be overexpressed inmetastatic and primarymelanoma cells in vitro and in situ compared to melanocytes cultured from healthy skin epidermis and normal healthy human skin. X Robin , N Turck , A Hainard , N Tiberti, et al. The PanelomiX toolbox combines biomarkers and evaluates the performance of panels to classify patients better than singlemarkers or other classiﬁers. The ICBTalgorithm proved to be an efﬁcient classiﬁer, the results of which can easily be interpreted. Here are two current examples of the immense role played by signaling pathways in carcinogenic mechanisms and in treatment targeting, which is also confounded by acquired resistance. are both targeted in triple-negative breast cancer (TNBC). activation of another EGFR family member [human epidermal growth factor receptor 3 (HER3) (or ErbB3)] may limit the antitumor effects of these drugs. This study found that TNBC cell lines cultured with the EGFR or HER3 ligand EGF or heregulin, respectively, and treated with either an Akt inhibitor (GDC-0068) or a PI3K inhibitor (GDC-0941) had increased abundance and phosphorylation of HER3. was reduced by the addition of a dual EGFR and HER3 inhibitor (MEHD7945A). the phosphorylation of downstream targets that occurred in response to the combination of EGFR ligands and PI3K-Akt pathway inhibitors. decreased cell proliferation compared with inhibition of the PI3K-Akt pathway alone. this combination treatment was also more effective than combining either GDC-0068 or GDC-0941 with cetuximab, an EGFR-targeted antibody. After therapy with EGFR-targeted antibodies, some patients had residual tumors with increased HER3 abundance and EGFR/HER3 dimerization (an activating interaction). Thus, we propose that concomitant blockade of EGFR, HER3, and the PI3K-Akt pathway in TNBC should be investigated in the clinical setting. The protein kinase BRAF is mutated in about 40% of melanomas, and BRAF inhibitors improve progression-free and overall survival in these patients. However, after a relatively short period of disease control, most patients develop resistance because of reactivation of the RAF–ERK (extracellular signal–regulated kinase) pathway, mediated in many cases by mutations in RAS. We found that BRAF inhibition induces invasion and metastasis in RAS mutant melanoma cells through a mechanism mediated by the reactivation of the MEK (mitogen-activated protein kinase kinase)–ERK pathway. The world of physics in the twentieth century saw the end of determinism established by Newton. This is characterized by discrete laws that describe natural observations. These are in gravity and in eletricity. In an early phase of investigation, an era of galvanic or voltaic electricity represented a revolutionary break from the historical focus on frictional electricity. Alessandro Voltadiscovered that chemical reactions could be used to create positively charged anodes and negatively charged cathodes. In 1790, Prof. Luigi Alyisio Galvani of Bologna, while conducting experiments on “animal electricity“, noticed the twitching of a frog’s legs in the presence of an electric machine. He observed that a frog’s muscle, suspended on an iron balustrade by a copper hook passing through its dorsal column, underwent lively convulsions without any extraneous cause, the electric machine being at this time absent. Volta communicated a description of his pile to the Royal Society of London and shortly thereafter Nicholson and Cavendish (1780) produced the decomposition of water by means of the electric current, using Volta’s pile as the source of electromotive force. Siméon Denis Poisson attacked the difficult problem of induced magnetization, and his results provided a first approximation. His innovation required the application of mathematics to physics. His memoirs on the theory of electricity and magnetism created a new branch of mathematical physics. The discovery of electromagnetic induction was made almost simultaneously and independently by Michael Faraday and Joseph Henry. Michael Faraday, the successor of Humphry Davy, began his epoch-making research relating to electric and electromagnetic induction in 1831. In his investigations of the peculiar manner in which iron filings arrange themselves on a cardboard or glass in proximity to the poles of a magnet, Faraday conceived the idea of magnetic “lines of force” extending from pole to pole of the magnet and along which the filings tend to place themselves. On the discovery being made that magnetic effects accompany the passage of an electric current in a wire, it was also assumed that similar magnetic lines of force whirled around the wire. He also posited that iron, nickel, cobalt, manganese, chromium, etc., are paramagnetic (attracted by magnetism), whilst other substances, such as bismuth, phosphorus, antimony, zinc, etc., are repelled by magnetism or are diamagnetic. Around the mid-19th century, Fleeming Jenkin‘s work on ‘ Electricity and Magnetism ‘ and Clerk Maxwell’s ‘ Treatise on Electricity and Magnetism ‘ were published. About 1850 Kirchhoff published his laws relating to branched or divided circuits. He also showed mathematically that according to the then prevailing electrodynamic theory, electricity would be propagated along a perfectly conducting wire with the velocity of light. Herman Helmholtz investigated the effects of induction on the strength of a current and deduced mathematical equations, which experiment confirmed. In 1853 Sir William Thomson (later Lord Kelvin) predicted as a result of mathematical calculations the oscillatory nature of the electric discharge of a condenser circuit. Joseph Henry, in 1842 discerned the oscillatory nature of the Leyden jardischarge. In 1864 James Clerk Maxwell announced his electromagnetic theory of light, which was perhaps the greatest single step in the world’s knowledge of electricity. Maxwell had studied and commented on the field of electricity and magnetism as early as 1855/6 when On Faraday’s lines of force was read to the Cambridge Philosophical Society. The paper presented a simplified model of Faraday’s work, and how the two phenomena were related. He reduced all of the current knowledge into a linked set of differential equations with 20 equations in 20 variables. This work was later published as On Physical Lines of Force in1861. In order to determine the force which is acting on any part of the machine we must find its momentum, and then calculate the rate at which this momentum is being changed. This rate of change will give us the force. The method of calculation which it is necessary to employ was first given by Lagrange, and afterwards developed, with some modifications, by Hamilton’s equations. Now Maxwell logically showed how these methods of calculation could be applied to the electro-magnetic field. The energy of a dynamical systemis partly kinetic, partly potential. Maxwell supposes that the magnetic energy of the field is kinetic energy, the electric energy potential. Around 1862, while lecturing at King’s College, Maxwell calculated that the speed of propagation of an electromagnetic field is approximately that of the speed of light. Maxwell’s electromagnetic theory of light obviously involved the existence of electric waves in free space, and his followers set themselves the task of experimentally demonstrating the truth of the theory. By 1871, he presented the Remarks on the mathematical classification of physical quantities. In 1896 J.J. Thomson performed experiments indicating that cathode rays really were particles, found an accurate value for their charge-to-mass ratio e/m, and found that e/m was independent of cathode material. He made good estimates of both the charge e and the mass m, finding that cathode ray particles, which he called “corpuscles”, had perhaps one thousandth of the mass of the least massive ion known (hydrogen). He further showed that the negatively charged particles produced by radioactive materials, by heated materials, and by illuminated materials, were universal. In the late 19th century, the Michelson–Morley experiment was performed by Albert Michelson and Edward Morley at what is now Case Western Reserve University. It is generally considered to be the evidence against the theory of a luminiferous aether. The experiment has also been referred to as “the kicking-off point for the theoretical aspects of the Second Scientific Revolution.” Primarily for this work, Albert Michelson was awarded theNobel Prize in 1907. Wave–particle duality is a theory that proposes that all matter exhibits the properties of not only particles, which have mass, but also waves, which transfer energy. A central concept of quantum mechanics, this duality addresses the inability of classical concepts like “particle” and “wave” to fully describe the behavior of quantum-scale objects. Standard interpretations of quantum mechanics explain this paradox as a fundamental property of the universe, while alternative interpretations explain the duality as an emergent, second-order consequence of various limitations of the observer. This treatment focuses on explaining the behavior from the perspective of the widely used Copenhagen interpretation, in which wave–particle duality serves as one aspect of the concept of complementarity, that one can view phenomena in one way or in another, but not both simultaneously. Through the work of Max Planck, Albert Einstein, Louis de Broglie, Arthur Compton, Niels Bohr, and many others, current scientific theory holds that all particles also have a wave nature (and vice versa). Beginning in 1670 and progressing over three decades, Isaac Newton argued that the perfectly straight lines of reflection demonstrated light’s particle nature, but Newton’s contemporaries Robert Hooke and Christiaan Huygens—and later Augustin-Jean Fresnel—mathematically refined the wave viewpoint, showing that if light traveled at different speeds in different, refraction could be easily explained. The resulting Huygens–Fresnel principle was supported by Thomas Young‘s discovery of double-slit interference, the beginning of the end for the particle light camp. The final blow against corpuscular theory came when James Clerk Maxwell discovered that he could combine four simple equations, along with a slight modification to describe self-propagating waves of oscillating electric and magnetic fields. When the propagation speed of these electromagnetic waves was calculated, the speed of light fell out. While the 19th century had seen the success of the wave theory at describing light, it had also witnessed the rise of the atomic theory at describing matter. In 1789, Antoine Lavoisier secured chemistry by introducing rigor and precision into his laboratory techniques. By discovering diatomic gases, Avogadro completed the basic atomic theory, allowing the correct molecular formulae of most known compounds—as well as the correct weights of atoms—to be deduced and categorized in a consistent manner. The final stroke in classical atomic theory came when Dimitri Mendeleev saw an order in recurring chemical properties, and created a table presenting the elements in unprecedented order and symmetry. Chemistry was now an atomic science. Black-body radiation, the emission of electromagnetic energy due to an object’s heat, could not be explained from classical arguments alone. The equipartition theorem of classical mechanics, the basis of all classical thermodynamic theories, stated that an object’s energy is partitioned equally among the object’s vibrational modes. This worked well when describing thermal objects, whose vibrational modes were defined as the speeds of their constituent atoms, and the speed distribution derived from egalitarian partitioning of these vibrational modes closely matched experimental results. Speeds much higher than the average speed were suppressed by the fact that kinetic energy is quadratic—doubling the speed requires four times the energy—thus the number of atoms occupying high energy modes (high speeds) quickly drops off. Since light was known to be waves of electromagnetism, physicists hoped to describe this emission via classical laws. This became known as the black body problem. The Rayleigh–Jeans law which, while correctly predicting the intensity of long wavelength emissions, predicted infinite total energy as the intensity diverges to infinity for short wavelengths. The solution arrived in 1900 when Max Planck hypothesized that the frequency of light emitted by the black body depended on the frequency of the oscillator that emitted it, and the energy of these oscillators increased linearly with frequency (according to his constant h, where E = hν). By demanding that high-frequency light must be emitted by an oscillator of equal frequency, and further requiring that this oscillator occupy higher energy than one of a lesser frequency, Planck avoided any catastrophe; giving an equal partition to high-frequency oscillators produced successively fewer oscillators and less emitted light. And as in the Maxwell–Boltzmann distribution, the low-frequency, low-energy oscillators were suppressed by the onslaught of thermal jiggling from higher energy oscillators, which necessarily increased their energy and frequency. Planck had intentionally created an atomic theory of the black body, but had unintentionally generated an atomic theory of light, where the black body never generates quanta of light at a given frequency with energy less than hν. In 1905 Albert Einstein took Planck’s black body model in itself and saw a wonderful solution to another outstanding problem of the day: the photoelectric effect, the phenomenon where electrons are emitted from atoms when they absorb energy from light. Only by increasing the frequency of the light, and thus increasing the energy of the photons, can one eject electrons with higher energy. Thus, using Planck’s constant h to determine the energy of the photons based upon their frequency, the energy of ejected electrons should also increase linearly with frequency; the gradient of the line being Planck’s constant. These results were not confirmed until 1915, when Robert Andrews Millikan, produced experimental results in perfect accord with Einstein’s predictions. While the energy of ejected electrons reflected Planck’s constant, the existence of photons was not explicitly proven until the discovery of the photon antibunching effect When Einstein received his Nobel Prizein 1921, it was for the photoelectric effect, the suggestion of quantized light. Einstein’s “light quanta” represented the quintessential example of wave–particle duality. Electromagnetic radiation propagates following linear wave equations, but can only be emitted or absorbed as discrete elements, thus acting as a wave and a particle simultaneously. The turn of the century also features radioactivity, which later came to the forefront of the activities of World War II, the Manhattan Project, the discovery of the chain reaction, and later – Hiroshima and Nagasaki. Marie Skłodowska-Curie was a Polish and naturalized-French physicist and chemist who conducted pioneering research on radioactivity. She was the first woman to win a Nobel Prize, the only woman to win in two fields, and the only person to win in multiple sciences. She was also the first woman to become a professor at the University of Paris, and in 1995 became the first woman to be entombed on her own merits in the Panthéon in Paris. She shared the 1903 Nobel Prize in Physics with her husband Pierre Curie and with physicist Henri Becquerel. She won the 1911 Nobel Prize in Chemistry. Her achievements included a theory of radioactivity (a term that she coined, techniques for isolating radioactive isotopes, and the discovery of polonium and radium. She named the first chemical element that she discovered – polonium, which she first isolated in 1898 – after her native country. Under her direction, the world’s first studies were conducted into the treatment of neoplasms using radioactive isotopes. She founded the Curie Institutes in Paris and in Warsaw, which remain major centres of medical research today. During World War I, she established the first military field radiological centres. Curie died in 1934 due to aplastic anemia brought on by exposure to radiation – mainly, it seems, during her World War I service in mobile X-ray units created by her. Last Thursday, April 10, 2014, we had a “Google Hangout” at Aviva’s house. She presented her ideas about the content of Volume 2. But she invested me with the responsibility to alter, correct and serve as editor for this work. I will be meeting with Dr Raphael Nir on Thursday April 17. From this meeting, I propose to have a preliminary Table of Contents. I will share this with all concerned. Unfortunately, you were not present at this meeting. What would you like to contribute to this work? It can be clinical or pre-clinical. Please respond to this message by indicating the type of contribution you would like to make. The rules for inclusion are only that it is relatively new and not part of the standard description of the usual cancers we find in the textbooks. I look forward to meeting you, either in person or electronically.